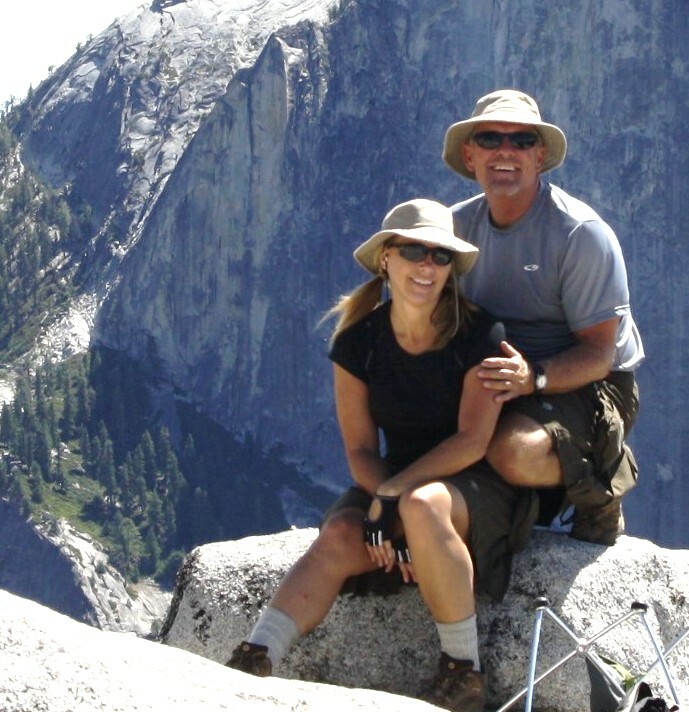 Backpacking was one of those things I always wished I would do–could do–but was scared to death to ACTUALLY do. That all changed in 2011 when I moved to California to be with “Adventure Man.” He made a dream I dared to dream come true. 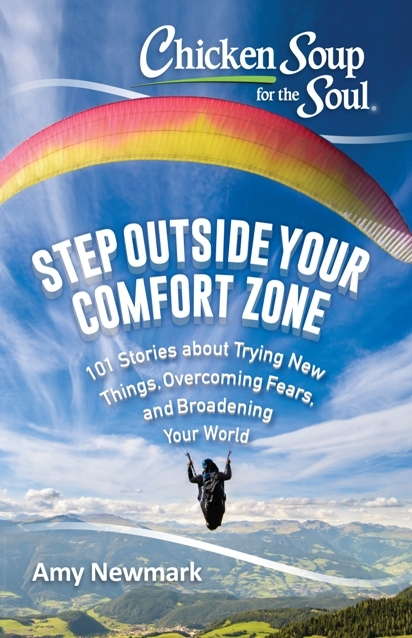 You can read about it in my short story “Conquering My Mountain” in the latest CHICKEN SOUP FOR THE SOUL book called Step Outside Your Comfort Zone. CHICKEN SOUP FOR THE SOUL released the book TODAY, October, 31, 2017, just in time for the scariest day of the year, HALLOWEEN! 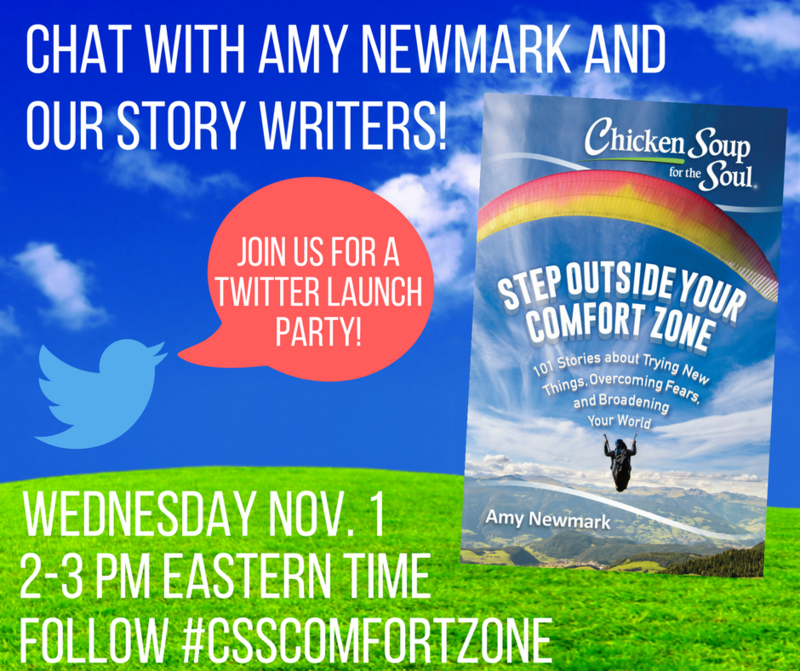 TOMORROW, November 1, 2017, they are hosting a TWITTER PARTY with the hashtag #CSSCOMFORTZONE. Come join in on the party. It’s easy even if you’ve never done this before. 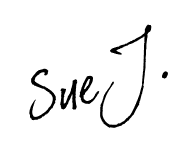 Just go on Twitter your normal way and then click on the search function using the magnifying glass. Type in hashtag #CSSCOMFORTZONE so that you can see all the tweets at the party. And be sure to include #CSSCOMFORTZONE in all the tweets that you post. That way we all see everyone else’s posts. It’s like a big cocktail party conversation. WHAT ARE **YOU** AFRAID OF??? overcoming their fears by facing them head on. Who knows where it might lead you.